I’ve been on a bit of a bagel kick lately, ever since we tried the new flavors of Canyon Bakehouse Gluten-Free Bagels. They have such a marvelous taste and chew when toasted, and are completely dairy-free, gluten-free, and nut-free. After picking up the whole grain Everything variety, I decided to look for a new savory spread to try. I searched my own site, and discovered a dairy-free Chipotle Cashew Cheese recipe that was originally shared with us by Navitas Organics. I made a few tweaks to their original Chipotle Cashew Cheese recipe. First, I like to powder the cashews to ensure they are well ground and to make the blending easier. You can use a spice grinder to do this in batches, but you will need a blender or food processor to blend up the creamy cheese. Also, I added an option for more water. In the cheese shown here, I actually ended up using 1/2 cup water because the mixture was too thick for my blender. It was more like a thick sauce at first, but it thickens substantially within a few hours in the refrigerator. I felt that the flavor of the original Chipotle Cashew Cheese recipe needed something to add depth and balance. So I put just a little nutritional yeast in there. It is optional, but I think it really helps to bring a slight cheesiness forward. And finally, I used garlic powder, because we aren’t big fans of fresh raw garlic in our household. 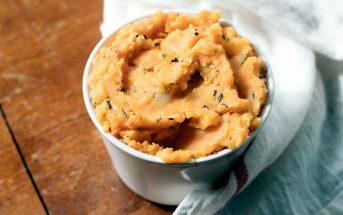 The end result is delicious slathered on toast or bagels, and would probably be wonderful on celery sticks or mixed into a sauce or rice. 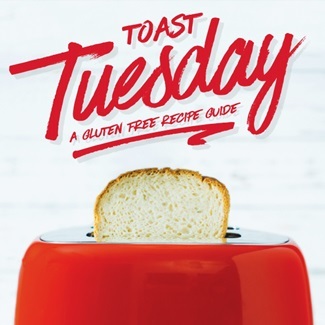 If you want some more toast topping ideas, Canyon Bakehouse has a FREE Toast Tuesday eCookbook. 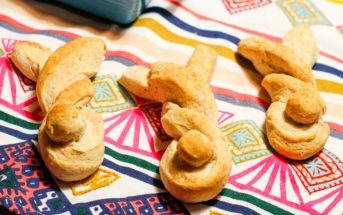 Ten of the recipes are dairy-free, and most others can be easily adapted to be dairy-free or vegan. And this is not a sponsored post. 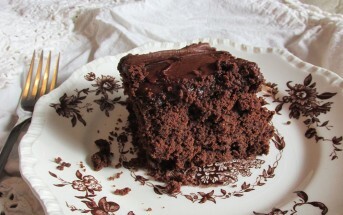 I just thought I would share this eBook for recipe lovers! By ingredients, this recipe is dairy-free / non-dairy, egg-free, gluten-free, grain-free, peanut-free, soy-free, vegan, vegetarian, and paleo-friendly. 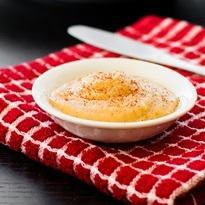 Years ago, Navitas Naturals submitted this recipe to our site. I decided to give it a spin, and am updating the recipe with a few changes. One modification is the additional option for nutritional yeast. I felt that this ingredient added more depth, cheesiness, and balance to the flavors. Put the cashews in your food processor or high power blender and process until powdered. I use the single-serve cups on my Ninja blender. Add the lemon juice, water, nutritional yeast (if using), garlic, ½ teaspoon chipotle powder, and salt. Process until smooth. If it is too thick for your machine, you an add more water, as needed. Taste and blend in more spice or salt, if desired. Transfer the mixture to an airtight container and refrigerate for 3 hours or more. It will thicken quite a bit as it sits. Keep leftovers in the refrigerator for up to 1 week. Pin this Chipotle Cashew Cheese Recipe! Want More Dairy-Free Recipes? Get Eat Dairy Free! Husband: What are you making? H: Wait, you can’t call it “cheese” if there’s no cheese in it. M: I said cheesy! What to try it? M: Good for a “cheesy” dip or GOOD good? H: So good I think you could fool people with it. M: Thanks! Now please put down the spoon so I can actually have some. Thanks for the awesome recipe. As you can see, it was a hit at my house! This could become a favorite! Looks delicious! I’ve wanted to try using cashews as a dairy alternative for a while and this recipe was perfect! Thank you!! You won’t believe how good they can be! I have to give this a try. It sounds so perfect paired with the everything bagel. I need this in my life! That looks perfect for bagels, crackers, toast. The possibilities are endless! What a great idea! I love anything with chipolte… so I bet this flavor is amazing. Such a great dairy free cheese idea! I love spreads like this! Can’t wait to try this one, and the bagels too! Love this alternative to regular cheese! It looks and sounds delicious. Perfect for having guests over! 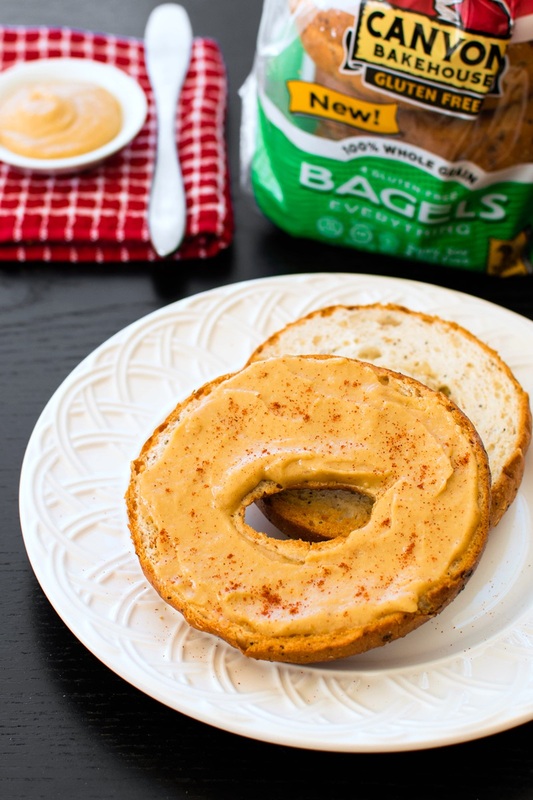 Looks delicious and great on a bagel but I’m also thinking dipping veggies and chips! Or even dipping bagel pieces (baking them with a little salt to take the place of pretzels). Can’t wait to try this one. Definitely! It’s very thick, but can be thinned easily for a dip. Thank you for the suggestion to powder the cashews first. I don’t have a very fancy blender, but I think with a few tweaks I could make this! Thanks so much! Glad I can help! It works like a dream. 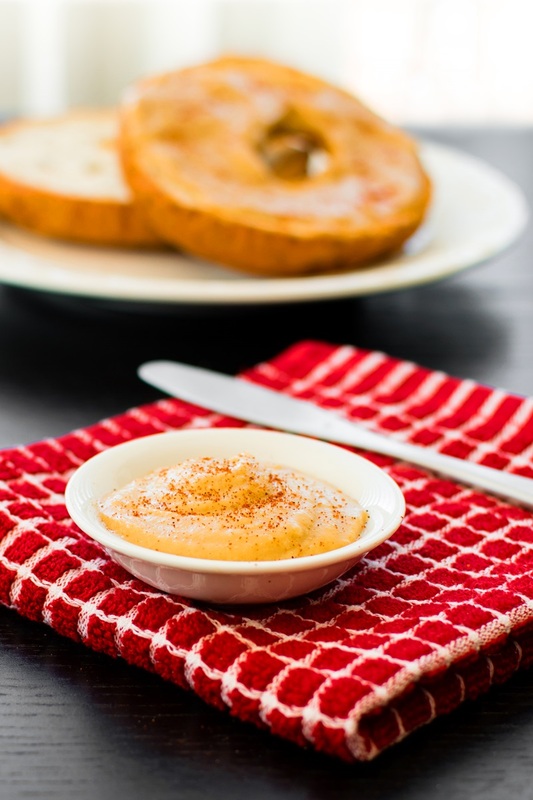 What an easy topping alternative for toast and bagels at breakfast! Looks so delicious! Yum! I make something very similar but it’s more a sauce, I never thought about making it thick and using it as a spread. Looks so good! This is by far the best do-it-yourself cheese substitute I’ve ever tried. Thank you! 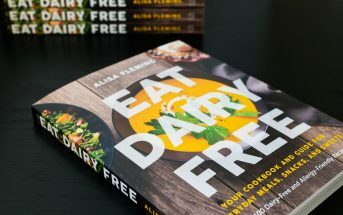 I’m not sure if I’ll ever be completely dairy-free, but recipes like this give me hope that it might not be so tough after all. 😉 I’ll definitely be trying more of your recipes!